So what does that mean? And what will the impact be on the complex structure of Dell Technologies? We try to break it all down. First off, it's best to outline the structure at Dell since its mega $67 billion acquisition of EMC in 2015. The result was a new parent company - called Dell Technologies - which sits above Dell, Dell EMC, Pivotal and VMware, roughly speaking. So, first there is the flailing former servers and computing division of Dell, which is now Dell Client Solutions Group. Then there is Dell EMC, which focuses on data storage and services. Then there is VMware, the high-growth cloud computing and platform virtualisation software vendor EMC acquired in 2004 for $625 million. There are some other divisions and sub-divisions - like RSA, SecureWorks and Virtustream - but that is the important stuff when it comes to this deal. 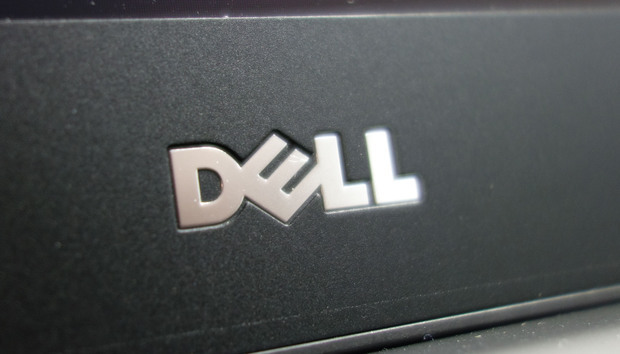 The publicly traded Dell went private in 2013 following a $25 billion deal with private equity business Silver Lake. Now, in order to re-enter the public markets, Dell must acquire back something called tracking stock. This is a common stock issued by a parent company (in this case Dell Technologies) to track the performance of a particular division (VMware), without having claim on the assets of the division. This effectively separates VMware's revenue and expenses from the parent company's financial statements. This allows investors to invest in VMware, even if they don't have faith in Dell Technologies as a whole. Now, as part of this piece of corporate manoeuvring, Dell is widely reported to be looking to exchange that Dell Technologies (DVMT) tracking stock (known as Class V) with Dell's own privately held common stock (known as Class C) at a rate of 1.3665, or for $109 per share in cash, if the holder so chooses, and as long as the aggregate of that does not exceed $9 billion. In short: the tracking stock will be eliminated as it is traded, at a premium, for Dell's privately owned common stock, which will then be directly listed on the public New York Stock Exchange. The complex details of that transaction can be found in this Dell press release. Dell will then directly list this stock as a new class of shares under a yet-to-be-announced ticker symbol, on the public market. This route saves it having to go through the formal, underwritten IPO process and all of the questions this brings, primarily regarding Dell's sizeable debt pile. One of the alternatives floated out there in previous months was a reverse merger with VMware after going public again, but this will not be the route the company takes now. Upon closure of the deal, expected for Q4 this year, this means that Dell Technologies will once again be a public company, with all of the rigours of quarterly reporting and keeping investors happy which that brings. Michael Dell, who currently owns 72% of Dell Technologies common shares, is a big winner of the deal. He will own somewhere between 47-54% of the newly public company and will continue to serve as chairman and CEO. It also means Dell now has more control over VMware moving forward, as it wrests control back from the owners of that tracking stock. However VMware will remain a separate publicly traded company to Dell Technologies, similar to how Pivotal - which is majority owned by Dell - went public earlier this year. Craig Lowery, research director at Gartner, believes the timing is right for this move from Dell as the company has already taken advantage of the autonomy going private brought and now can focus on "more consolidation to the Dell Technologies portfolio by removing the tracking stock, while allowing Michael Dell and Silver Lake to maintain control of VMware, and positioning Dell to become a publicly traded company again," he said. More importantly Lowery sees this move as vital to Dell's long term ability to compete with the public cloud vendors. "It is also essential for Dell to position itself to deal with this threat by further deepening investments to deliver products and services that leverage the public cloud trend, rather than depend upon prolonged and direct competition with it as an alternate source of IT infrastructure," he said. "A rebirth of Dell as a publicly traded company could give it more latitude to acquire capabilities quickly to shore up this competitive threat."